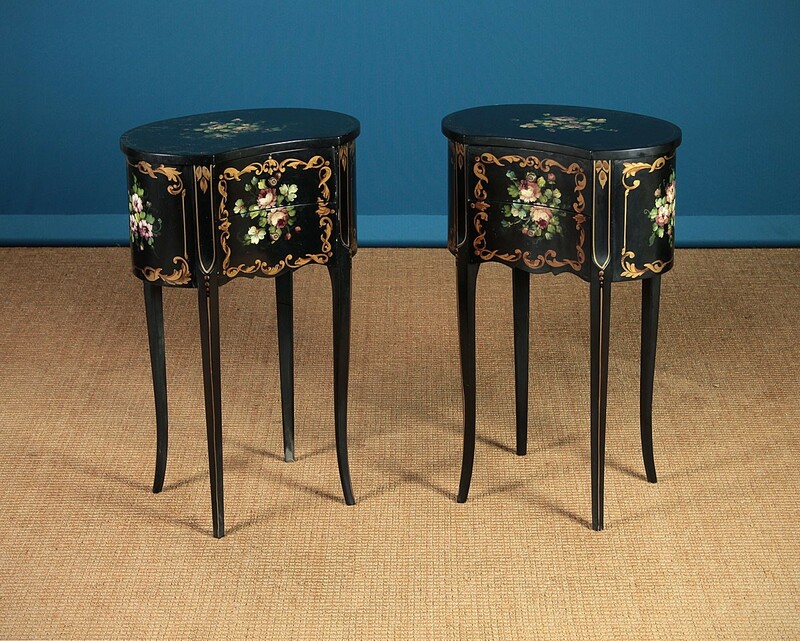 Pair of small ebonised side tables c.1950. 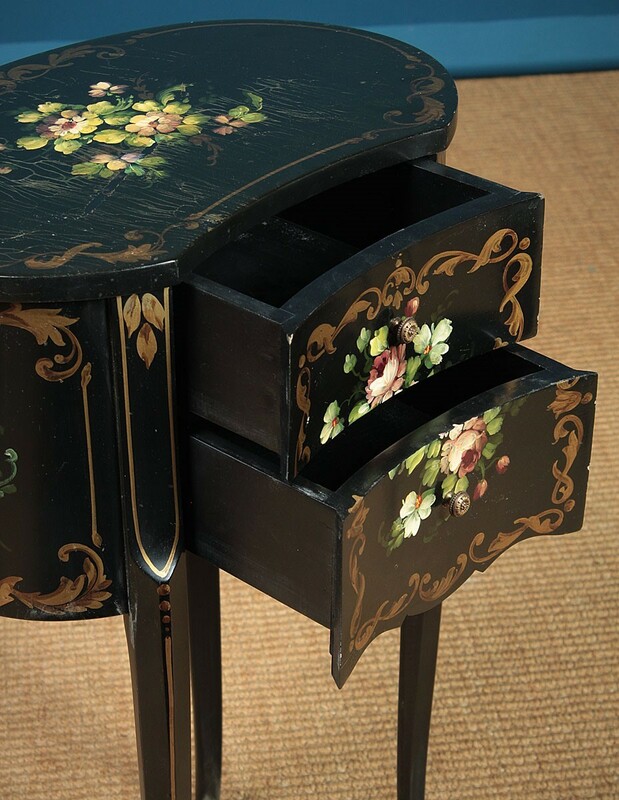 Ideal as bedsides or as lamp tables either side of a sofa perhaps. 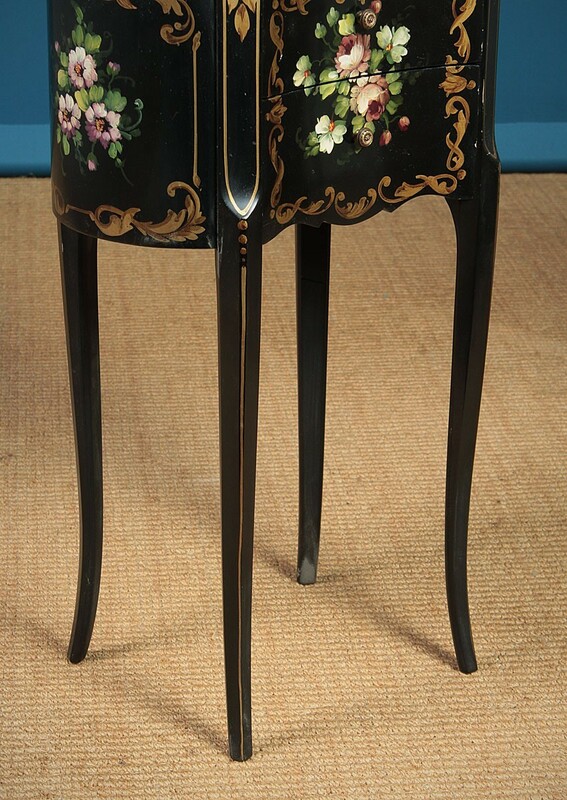 Kidney shaped tops over two small drawers raised on slim legs. 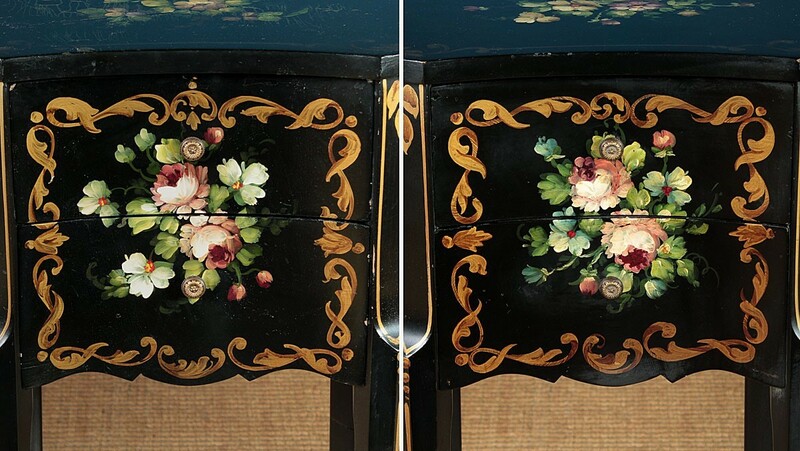 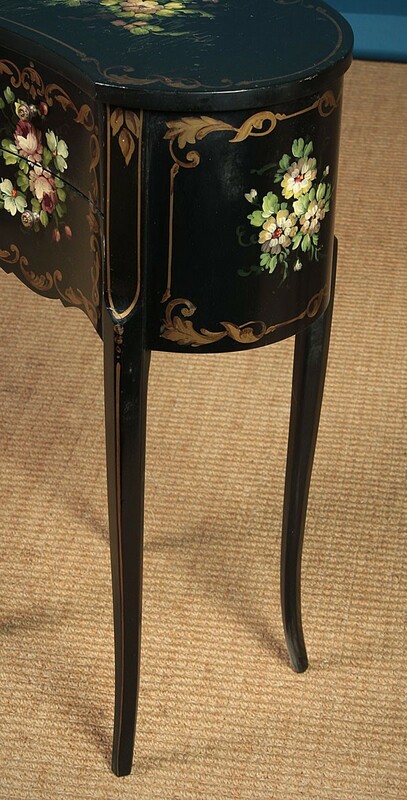 Delightfully decorated with hand painted flowers to the top, front and sides against a black lacquered ground with additional gilded border detail, also continued on the rear. 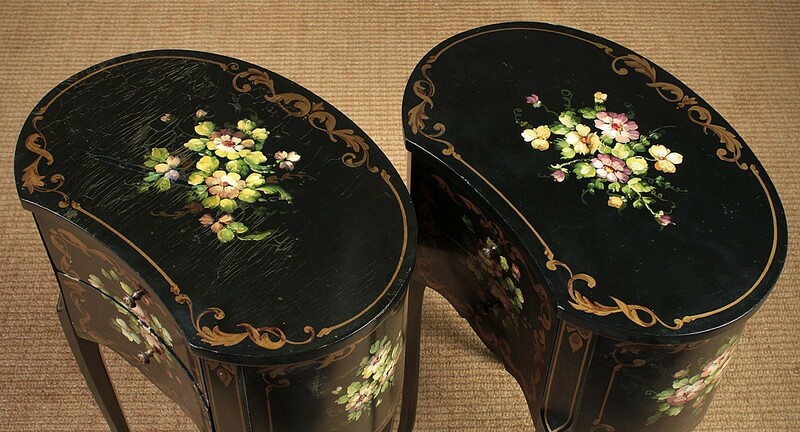 Some damage to the lacquer on one of the tops and some minor wear, otherwise very good condition.